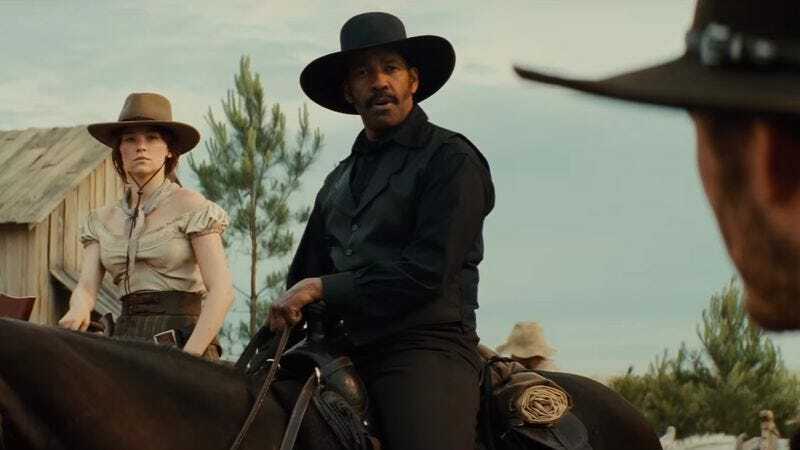 There’s a new version of The Magnificent Seven currently in theaters, this time directed by Antoine Fuqua and starring Denzel Washington. The film’s racially diverse cast, a distinct departure from the white-dominated 1960 version directed by John Sturges, has garnered a great deal of attention, with some accusing Fuqua of politically correct pandering or even tokenism. But in an eye-opening new article for The Atlantic entitled “How Hollywood Whitewashed The Old West,” writer Leah Williams reveals that this new Magnificent Seven may actually present a much more accurate version of America’s frontier past than its predecessor ever did. In fact, audiences have come to think of cowboys as being all but exclusively white because of the conventions of Hollywood filmmaking. It has no real basis in historical fact. The real West was diverse, even if no one at the time would have used that term to describe it. Traditional Hollywood movies, including those directed by John Ford, have simply ignored or misrepresented the Mexican vaqueros, Chinese immigrants, and African slaves who actually populated the West. If the Western genre is to truly reckon with its past, then Hollywood needs to start with the basics. Studios should hire more directors and writers who aren’t white, while more regularly seeking out stories about the American frontier that feature both characters and actors of color.